The authentic look & feel of Balterio Tradition Quattro really catches the eye. 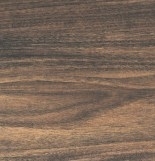 Balterio Tradition Quattro comprises ten attractive wood décors. The authentic aspect is further emphasised further by the 4-sided V-groove. Indistinguishable from solid parquet floors! 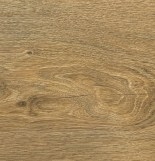 London Flooring Wood Flooring. Areas Covered: Hornchurch, Romford, Upminister, Elm Park, Dagenham, Chadwell Heath, Chigwell & Barkingside. 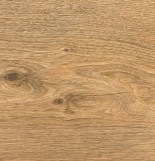 Cheap laminate flooring in Billericay, Brentwood. Wood Flooring and Cheap Laminate Flooring in Harold Hill, Barking, Basildon. Quick-Step Chigwell, Chigwell Row, Dagenham, Epping, East Ham. 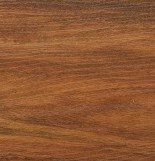 Cheap Wood and Cheap Laminate Flooring Hornchurch. 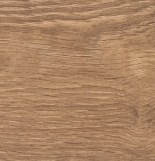 Local laminate flooring stockist Goodmayes, Seven Kings & Ilford . EAST LONDON AND CENTRAL LONDON EC1 Shoreditch EC2 Bishopsgate EC3 Fenchurch Street EC4 Fleet Street. WEST LONDON AND CENTRAL LONDON WC1 St Pancras WC2 Strand -------------------------------- NORTH LONDON N1 Islington N2 East Finchley N3 Finchley N4 Finsbury Park N5 Highbury N6 Highgate N7 Holloway N8 Hornsey N9 Lower Edmonton N10 Muswell Hill N11 New Southgate N12 North Finchley N13 Palmers Green N14 Southgate N15 South Tottenham N16 Stoke Newington N17 Tottenham N18, N22 Wood Green -------------------------------- NORTH WEST LONDON NW1 Camden NW2 Cricklewood NW3 Hampstead NW4 Hendon NW5 Kentish Town NW6 Kilburn NW7 Mill Hill NW8 St John's Wood NW9 The Hyde NW10 Willesden NW11 Golders Green -------------------------------- EAST LONDON E1 Wapping E2 Bethnal Green E3 Bow E4 Chingford E5 Clapton E6 East Ham E7 Forest Gate E8 Hackney E9 Homerton E10 Leyton E11 Leytonstone E12 Manor Park E13 Plaistow E14 Poplar E15 Stratford E16 Victoria Dock E17 Walthamstow E18 Woodford -------------------------------- EST LONDON. ILFORD: IG1 Ilford IG2 Gants Hill IG3 Seven Kings IG4 Redbridge IG5 Clayhall IG6 Barkingside IG7 Hainault IG8 Woodford Green IG11 Barking. ROMFORD: RM1 Romford RM2 Gidea Park RM3 Harold Wood RM4 Havering-atte-Bower RM5 Collier Row RM6 Chadwell Heath RM7 Rush Green RM8 Becontree Heath RM9 Becontree RM10 Dagenham RM11 Emerson Park RM12 Hornchurch RM13 Rainham RM14 Upminster. 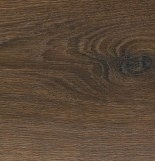 Cheap Wood Flooring London Cheap Hardwood Floors Oak Flooring Stocklist, AquaStep London, AquaStep Romford, Wood Floors London. 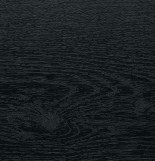 Cheapest Wood Flooring Romford. QuickStep Romford.